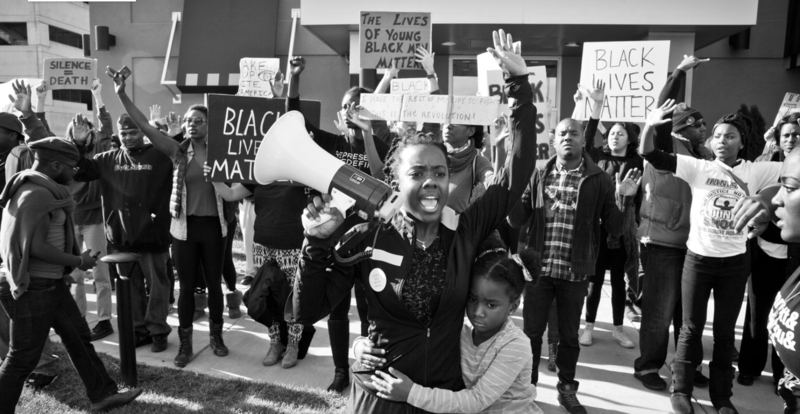 Nia Arrington is a Young Black Woman and Community Organizer working to build the world we all deserve to live in. She is the Co-Founder of the Youth Power Collective, a youth-led grassroots organization that focuses on educational justice and the school-to-prison pipeline. Since February, 2017, Nia has worked as a Youth Community Organizer for One Pennsylvania, a State-wide, multi-issue grassroots organization. As a student at Pittsburgh Creative and Performing Arts School (CAPA), she led a walkout over the nomination of Department of Education Secretary Betsy DeVos and helped organize a local youth-led march against gun violence as part of the Never Again movement. She is a former member of City Councilman Corey O'Connor’s Youth Participatory Budget Council, Hillombo’s Transformative Arts Process Advisory Board. As part of The Andy Warhol Museum’s Youth Advisory Council, she and other young people from eight area high schools spent a year connecting with the museum, art, and one another. They curated a youth art exhibition exploring contemporary social justice issues.. Nia has been featured in the 2018 Summer Edition of Dazed Magazine and interviewed for the Fall 2018 Carnegie Magazine’s Facetime article. She has been quoted and interviewed for several news publications including The New York Times, The Nation and Vice News. Nia plans to study Political Theory next fall after a gap year working as a Community Organizer. Njaimeh Njie is a Pittsburgh based photographer, filmmaker, and multimedia producer. Working across photo, video, writing, and curating, her work is rooted in social justice and cultural enrichment. Njaimeh is the Founder/Lead Producer of Eleven Stanley Productions—a nonfiction storytelling company. As the creator of the multimedia series Power(ed) by Grace, her work has earned coverage from outlets such as the Huffington Post, the Carnegie Museum of Art blog, and Blavity, and has exhibited in cities including Pittsburgh, Washington D.C., and New Orleans. Njaimeh’s work expanded into the public sphere with the Temporary Placemaking and Public Art Commission through the Office of Public Art and Neighborhood Allies, where she is developing a neighborhood wide public art project in Pittsburgh’s historic Hill District. She has also gained international experience through documenting black Muslim life in Paris. In 2016 Njaimeh was named to the New Pittsburgh Courier’s 40 Under 40 List, and in 2018 she was named a Creator of the Year by the Creative Industries Network. A Pittsburgh native, Njaimeh earned a B.A. in Film and Media Studies from Washington University in St. Louis, and an M.Ed in Secondary Education from the University of Missouri-St. Louis.